Who is Dr. George E. Causabon? Msgr. 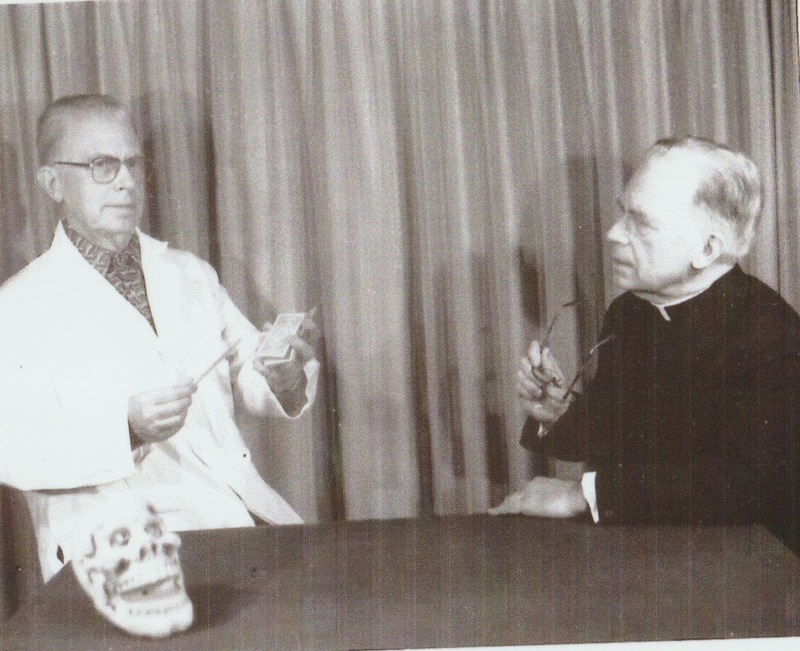 Foy’s niece provided this vintage photo of Dr. George E. Causabon (who may be on the verge of breaking into laughter) performing a complex sleight of hand card trick for Msgr. Foy, who appears to be trying to figure out the secret behind this entertainment. This entry was posted in PHOTOS, POST MORTEM. Bookmark the permalink.